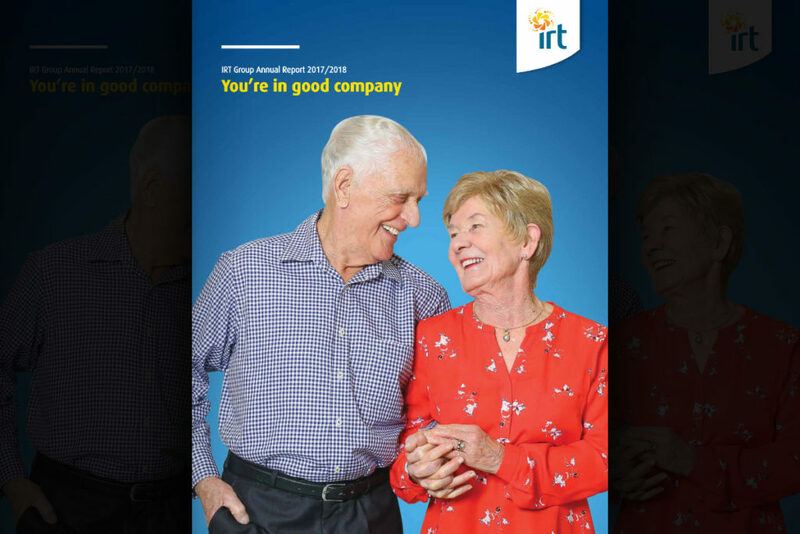 IRT Group opened a new retirement village, expanded its home care business and increased its asset base to $1.24 billion during 2017/2018, attendees of the aged care and retirement living provider’s Annual General Meeting were told last night. IRT Group CEO Patrick Reid reported that, despite a difficult financial environment, the organisation achieved a number of significant milestones during the reporting year. IRT’s reach now extends to 19 aged care centres, 28 retirement villages and six home care regions across NSW, South East Queensland and the ACT, generating annual income of $185.9 million. During the year just under 2400 employees delivered accommodation, care and support to almost 8000 customers, achieving an 88% customer satisfaction rate. “The constant that underpins our organisation is the excellent service we deliver to older Australians,” Mr Reid said. IRT Foundation’s social impact programs directly impacted 6813 lives and focused on tackling homelessness, ageism and social isolation. IRT’s Assistance with Care and Housing program helped 81 clients; the Foundation staged its third successful Career Check Up Expo for Mature Workers; and 680 volunteers supported our customers and their families. The aged care industry experienced some tough times financially and last year 43% of aged care providers made an operating loss, according to the StewartBrown March 2018 Aged Care Financial Performance Survey. IRT was among them, reporting a loss of $1.8 million. However, the organisation achieved a net profit of $35.3 million, as a result of fair value adjustments on its property portfolio. IRT is on track to return to surplus this year. “Our new strategic plan has a strong focus on serving regional communities and will ensure we achieve long-term financial sustainability so that we can deliver the care and support our customers deserve well into the future,” Mr Reid said. Celebrated 25 years of providing home care services. More information is available in the IRT Group Annual Report 2017/2018 online.